Dubai is currently looking for the future public transport system capable of carrying passengers at speeds in excess of aircraft. Although it sounds like science fiction, but one of the largest cities in the United Arab Emirates was planning to host an international competition in September. 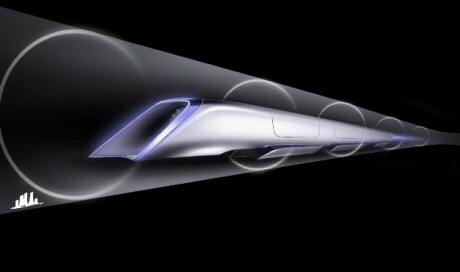 In that competition, the design must be presented using a pipe for transporting people and goods in a fast-speed capsule known as Hyperloop. The transportation system use electricity that will move the capsule or autonomous vehicle along a pipe in a low pressure environment to achieve a minimum speed of 1,200 kilometers per hour. Hyperloop is the concept of high-speed transportation system proposed by Elon Musk, who also the figures behind the success of Tesla and SpaceX. He made a patent-free technology in order to encourage international scientific collaboration around a futuristic concept. Dubai looking for someone who can design a similar transport system that will bring people from Dubai to Fujariah (have the distance of 165 kilometer) in just 10 minutes. As quoted by CNN on Wednesday, August 10, 2016, now the trips from Dubai to Fujariah took more than two hours. And experts say, the cost to build the 'Hyperloop' pipeline will be much cheaper than making the conventional fast train. In response to that desire, Dubai Future Foundation will be the host of "Build Earth Live" for the Hyperloop Designs in next September. The event will be filled by the presentations of futuristic transportation design by the team of engineers and scientists from around the world to the judges. "Dubai becoming the host of this international event as part of the vision of Vice President and Prime Minister and Ruler of Dubai, His Excellency Sheikh Mohammed bin Rashid Al Maktoum, to make the UAE and Dubai as a place to create solutions futuristic relevant to human life," said Vice Chairman of the Board of Trustees and Managing Director of the Dubai Future Foundation, Mohammed Al Gergawi. "This competition is a great opportunity to explore innovative ideas in the field of intelligent transportation," he added. As reported by the official WAM news agency, Al Gerawi said that the development of future transport solutions will effectively change the way people deal with daily work, and transportation. Al Gerawi also added, it will trigger a rapid global economic growth.